NCQA measures quality so consumers can find good health care. NCQA gives consumers the information they need to find high-quality health care. We do this by measuring the quality of practices, providers, health plans and other health care organizations. We share our information broadly, at no cost to the general public. Health care quality means getting the right care, in the right amount, at the right time. Right care: Treatments that science shows actually work, and that fit the patient’s values, lifestyle and circumstances. Right amount: Not getting care you need is a problem of “too little.” Getting care that doesn’t help you is “too much.” So is getting multiple tests from doctors who don’t share information with each other. Right time: Getting care when you need it is important —often, the best treatment is care that keeps you from getting sick in the first place, or getting worse from a condition that can be managed. NCQA measures quality to make health care better. NCQA has the most widely used and respected tool for measuring quality: The Healthcare Effectiveness Data and Information Set (HEDIS®). It is used by more than 1,000 health plans, covering 57% of the U.S. population. HEDIS consists of 92 measures across 6 categories of care. HEDIS evaluates how often people get preventive care―tests and treatments to keep them from getting sick. HEDIS also measures whether people with chronic conditions like asthma, diabetes and high blood pressure get care that can keep them healthy. HEDIS includes measures for children and older adults. HEDIS evaluates whether doctors, other clinicians and health insurers make the best use of health care resources or whether they provide unnecessary care that may harm patients. Read more about HEDIS, including a list of HEDIS measures. Do you get care when you needed it? Is customer service staff helpful and polite? Do doctors listen to you and explain things in a way you can understand? Combining HEDIS and CAHPS results is the key to how we accredit and rate insurers so consumers know where to find the best value. We share what we learn with the companies that buy health care (employers) and with the people who use health care (consumers), so they know where to get good care. Results show insurers and health professionals where they need to do better. Our annual Health Plan Ratings presents these results to help consumers pick the best health plan for them. View health plan performance by state here. A good clinician influences your overall health. But how do you decide what makes a “good doctor” and a “good primary care practice”? For most of us, a good clinician/practice is one that puts patients first. Yet, patient-centered care is often what we don’t get from our overworked clinicians and fragmented health system. Finding a good doctor or clinician isn’t always easy. NCQA recognizes practices that deliver—and excel in—patient-centered care. Our Patient-Centered Medical Home (PCMH) Recognition program highlights primary care providers who prove that they can coordinate care among every doctor and nurse a patient sees. Better access to care, through expanded hours and online services. Help understanding treatment options, so you are a partner in decisions about your care. Providers who work in teams to prevent problems and manage chronic conditions to keep you healthy. The result is better quality and fewer expensive trips to ERs and hospitals. Where can you find a PCMH? Take a look at our Report Cards, which list NCQA-Recognized practices by state. To learn more about why PCMHs work better for you, check out our PCMH evidence summary. 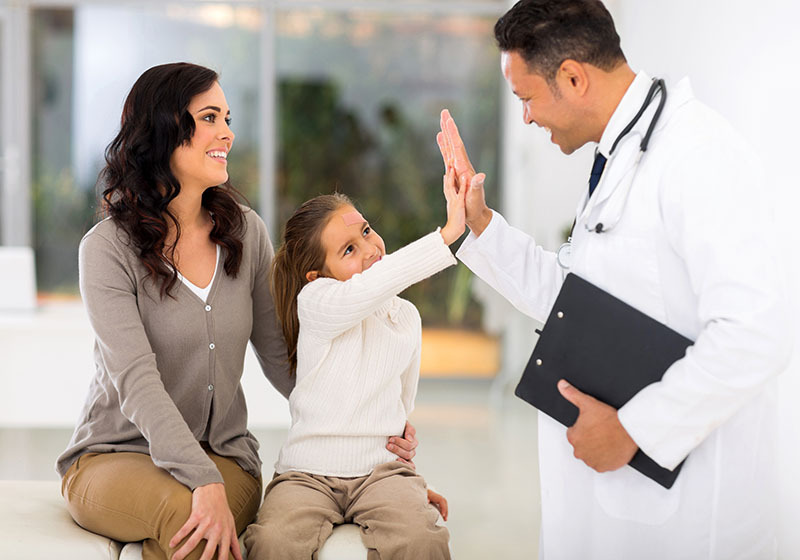 Although a PCMH is helpful and effective for primary care, sometimes people need to see a specialist—for a chronic condition such as diabetes, or for a serious illness such as cancer, or for a second opinion. To make sure that specialists and primary care practices work together to care for you, NCQA adopted the PCMH model for specialists. The Patient-Centered Specialty Practice (PCSP) program recognizes specialists who are committed to patient access and communication, and care coordination. You can find a specialist that’s right for you in the NCQA Report Cards. Most people pick their own health plan to cover their health care needs. NCQA helps health plans work together to improve quality and lower costs. We accredit health plans that deliver high-quality care and enforce important safeguards to protect the people they cover. More than 173 million Americans are in an NCQA-Accredited health plan. Our accreditation program is “performance based”: We use quality measures to assess how well plans work to improve access to care and other member benefits. You might ask: How can I know a health plan’s quality? Accreditation status. Look for the NCQA Accreditation seal when choosing a health plan. NCQA is the only accreditor with experience in rating and publicly reporting health plan quality. You can review plan results by state in our Health Plan Ratings. Consider choosing a PCMH for your primary care. Check our directory of organizations that have earned distinction for their care of diverse populations. Read NCQA comment letters discussing legislation that affects health-care quality across the United States. Our Consumer Advisory Council is an essential conduit to health care consumers and advocates. Members lend their insight and expertise to NCQA staff as we develop and evolve our quality programs. *CAHPS is a registered trademark of the Agency for Healthcare Research and Quality, which oversees the survey.